Irkutsk, one of the oldest cities in Eastern Siberia, was built as a pioneer fortress when the Russian Empire was expanding deep into Siberia and toward the Pacific Coast. Truth be told, the city isn’t as beautiful as other cities in Siberia, like Novosibirsk or Krasnoyarsk; however, there are other things that make Irkutsk notable. The first thing that caught my attention was the city’s unusual coat of arms – a tiger-like beast holding a dead sable in its mouth. I was surprised to learn that the beast wasn’t an Amur tiger as most people might think, but a mysterious animal called a babr. At the end of the 17th Century, Irkutsk authorities sent a picture of an actual Amur tiger to be approved as the city’s coat of arms by the Imperial administration in St. Petersburg. However, instead of the word “tigr” (tiger in Russian), Irkutsk residents named the beast “babr,” the way local natives called tigers. When the documents from Irkutsk arrived in St. Petersburg, imperial artists responsible for drawing the coat of arms were at a loss, not knowing just what on Earth a babr was. As they couldn’t google what it was back then, they ended up drawing a mysterious babr as something resembling a panther with the feet of a dragon. And so the babr became the symbol of Irkutsk. Despite the city being deep in Siberia, geographically Irkutsk is actually right in the center of Russia. I was quick to burst into laughter, but then I was told that if one takes the distance between St. Petersburg and the Kuril Islands in the Sakhalin Oblast, Irkutsk would be right in the middle. “Dude, we’re right at the center of Russia,” a local guy, Dmitry, told me over dinner. It’s worth noting that the distance between Moscow and Irkutsk is 5,200 km by car. It goes to show just how big Russia is. Being an old Siberian town, Irkutsk has a lot of old buildings and architecture which give the city its unique look. However, some people claim that the other side of the coin of keeping all these old buildings is that a few of them are filled with ghosts and other paranormal beings. The Irkutsk City Court, for example, is said to have a barabashka (or even a few of them! ), a house spirit that sometimes causes poltergeist-like occurrences, like pinching people in their sleep or throwing items around. The court barabashka isn’t necessarily a bad dude, but sometimes he likes to play with court staff, who stay late at work, or night security guards by knocking on the walls, randomly dropping things on the floor and making noises. 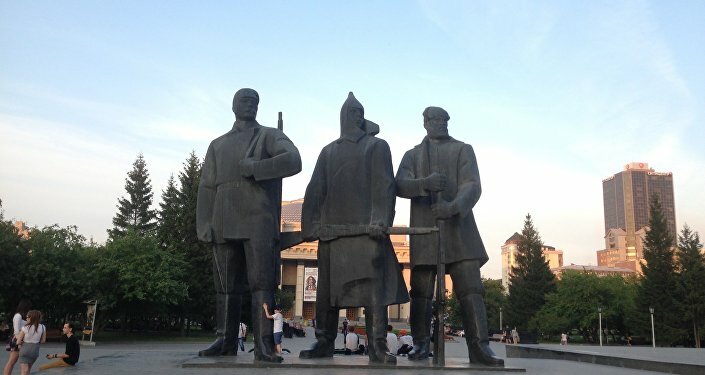 But the main thing about Irkutsk is, of course, its close proximity to Lake Baikal. The easiest way to get to the Lake Baikal is via the Irkutsk airport, as the city has direct flights with most major Russian cities and even some international cities. From there it takes a little over an hour to drive to the world’s deepest lake. 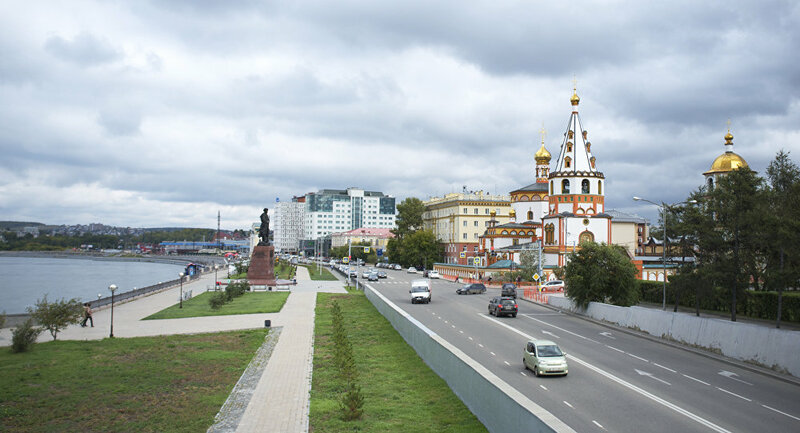 Irkutsk can also be accessed through the famous Trans-Siberian Railway, a network of railways that connect Moscow and Vladivostok. If you have enough time, you should definitely consider stopping over to Irkutsk for a couple of days to enjoy one of Siberia’s oldest cities.